Yoco's new POS app was designed specifically for SMEs. Cape Town-based fintech start-up Yoco has unveiled a free point-of-sale (POS) app designed for its SME clients. 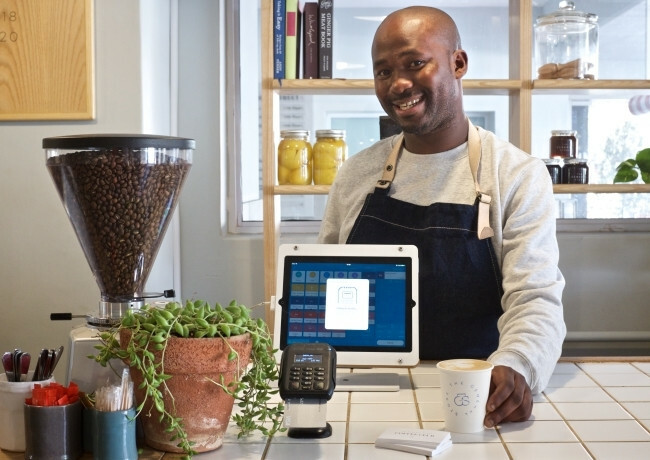 Officially launched in 2015, Yoco enables SMEs to accept card payments, and provides card readers to over 14 000 South African merchants, most of which never accepted cards before. The company says it is growing by 1 200 merchants a month and processes over R1 billion in transactions per year. Yoco claims its POS solutions are cheaper and easier to set up. There is a once-off fee for the device (between R1 700 and R2 750) and there are no monthly rental fees. The company makes money by taking a cut of up to 2.95% on all transactions. The new app was developed in SA and allows SMEs to organise stock, ring up sales, do cash-ups and recons, and monitor sales performance in real-time. It will be available to all new and existing Yoco customers. Merchants can quickly add new products to their inventories by taking photos and filling in the available variants. Uploaded products will appear on every Yoco POS app in the store. Through the app, business owners will be able to get reports on insights such as what products are selling well and which staff member is performing the best. Multiple payment types can be added to the system, including card, cash, SnapScan, Zapper, EFT and Bitcoin, as well as the ability for customers to split their bill however they want to pay. Yoco CEO Katlego Maphai says the natural next step after making it easier for SMEs to accept payments was to make running a business easier. "We've been developing our new point-of-sale for over 18 months," says Yoco CTO Lungisa Matshoba. "During the beta phase, we saw 55 merchants process over 200 000 transactions on the Yoco POS. The experience highlighted to us the impact it can have on the growth potential of thousands of other small businesses, from hairdressers to restaurants to clothing stores, across the country. The more these businesses grow, the more South Africa grows." Yoco has opened its first retail store on 4th Avenue in Parkhurst, Johannesburg. It will be a multi-purpose building, selling Yoco units and other products to business owners, and holding seminars to teach people how to use these products and other services which may benefit SMEs. The new Yoco retail store in Parkhurst. The Yoco store is completely cashless and will be powered by the company's POS offering to demonstrate how it works. Yoco has integrated with other accounting and POS providers. At the Yoco store, business owners will be able to see how the Yoco card reader integrates with Yoco partner companies like Xero (accounting), TabletPOS (powered by iKentoo) and Vend (POS). Yoco customers will have access to support at the store every day of the week from 9am to 6pm. The company also offers pre-emptive support. Yoco aims to call customers to tell them how to solve a problem before the merchant realises anything is wrong. Yoco's predictive support model uses a combination of technology and real people to proactively monitor systems and look for patterns of commonly occurring problems. Operations head Donovan Stoop says: "We have live transaction monitoring, and can pick up patterns when certain merchants are struggling with a certain issue and our aim is to reach out to them before they reach out to us." He says the problems are usually simple, like a weak Internet or Bluetooth connection, but can be more complicated, like spotting fraud.